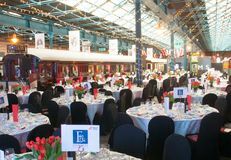 The Green Gown Awards UK & Ireland Awards Ceremony took place at The National Railway Museum, York, on Thursday 8 November 2018. We are delighted to announce Helen Browning, OBE, will be co-hosting the 2018 Awards Ceremony alongside Iain Patton, CEO of the EAUC. 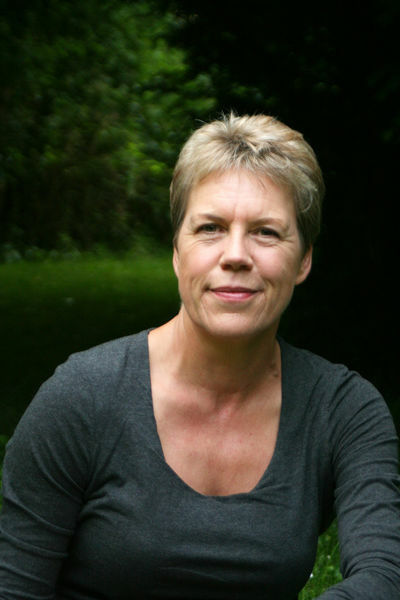 Helen is Chief Executive of the Soil Association, a member of the Food Ethics Council, trustee of the RSPB and was recently appointed to the Food Farming and Countryside Commission hosted by the RSA (Royal Society for the encouragement of Arts, Manufactures and Commerce). Having worked with our Awards Ceremony venues over the past seven years to deliver Soil Association Gold standard accredited menus, we think it rather fitting that Helen will be a part of this year’s Awards Ceremony. Prior to rejoining the Soil Association, Helen was Director of External Affairs for the National Trust. She has had a number of roles in agri-politics over the years, including the Government’s Policy Commission on the Future of Farming and Food (‘the Curry Commission’) and chaired the England Animal Health and Welfare Implementation Group. Helen was awarded an OBE in 1998 for her services to organic farming. Helen also has a very mixed organic farm in Wiltshire, with dairy, beef, pigs, cereals and is now also experimenting with agro-forestry. 7.25pm - NEW this year - live presentations with online voting. Dinner and Awards presentation follows. Dress code for the event is suggested as black tie/evening dress, however we are not strict on the dress code and welcome any attire you feel comfortable in. We welcome regional dress such as kilts. We also encourage attendees to be inventive with their choice of attire and recommend re-using such as through charity shops, friends or family or making your own out of re-usable materials. As a sustainability event, we encourage all guests to travel where possible by public transport or car share. If travelling to York rail station, please follow the signs inside the station which will lead you out of the back of the station over a footbridge and down a series of steps. Follow the road round and the Museum is on your left (Station Hall). Car sharing details can be found at www.eauccarshare.org.uk. Free parking spaces are available to guests if needed. All guests can park in the Main Visitors Car Park opposite the Car Park Entrance on Leeman Road. Disabled parking spaces are available on site for those who require it. The Museum is fully wheelchair accessible. A limited number of wheelchairs are available on request. Rail travel has long been a source of fascination and intrigue. From the global fame and glory of the Flying Scotsman to the splendour of the Orient Express, trains have transported, inspired and entertained us for hundreds of years. With a collection that includes over 1 million objects spanning 300 years, the National Railway Museum is a celebration of human endeavour and achievement. The stories that run through the collection provide creative and inspiring backdrops for events including conferences, dinners, receptions, weddings and Christmas parties. Understanding how important catering is to every event, the museum prides itself on offering fantastic quality food and drink. 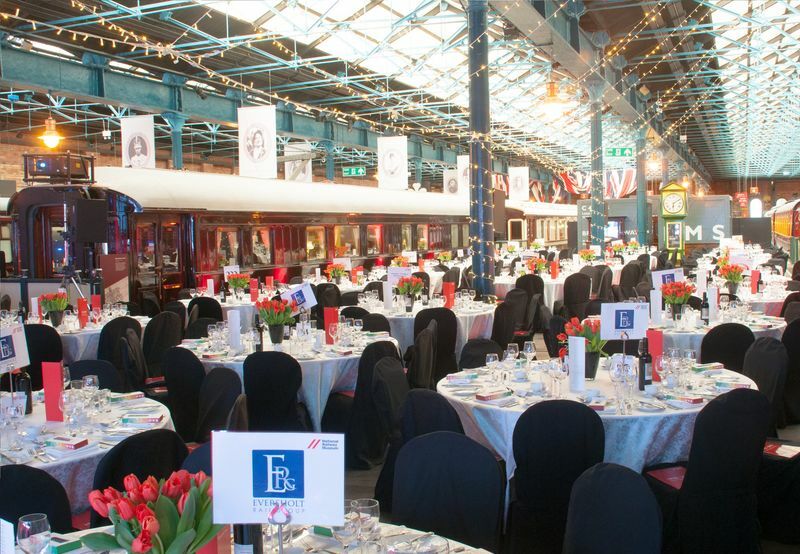 Levy UK is the sole caterer at the National Railway Museum, providing truly special event catering along with a firm focus on the guest experience. Levy UK and the events team carefully adapt their approach to suit ever - changing trends and demands and the needs of their customers. Levy is recognised by the Soil Association's "Food for Life Served Here" Bronze accreditation. Levy UK are fully committed to sustainability, and genuine Yorkshire produce us utilised wherever possible to help promote local suppliers. Suppliers include Taylors of Harrogate, Hughes Bakery, Harvey & Brockless and Thirsk and Styals Meats. We will be working closely with our local partners, the University of York and York St John University, to showcase the very best of York. The Green Gown Awards black-tie ceremony brings together the leaders, drivers and thinkers of sustainability initiatives within the tertiary education sector. Show your support for and get inspiration from the finalists by being a part of the most prestigious recognition of best practice within the education sector. Enjoy the evening with your peers and fellow finalists and be present when all the winners and highly commended entries are announced. It could be you and your chance to shine! Over the coming months, we will be working closely with our local partners, the venue,and the Soil Association to deliver an event in line with the EAUC’s Sustainability Policy. We encourage delegates to take public transport to/from the venue wherever possible and will do taxi sharing from the venue back to local hotels. If delegates must travel by car we recommend to use the EAUC Car Share scheme. Details can be found at www.eauccarshare.org.uk. We only print the Finalists’ Brochure with Guest Directory and menu – with recognised environmentally-friendly printing techniques and 100% recycled paper. All other elements are communicated electronically. We are working with our suppliers to re-use and recycle materials where possible. We are working with the venue to use local suppliers. The venue has provided a list of possible hotel options - download the attachment below. We have not vetted any of these and therefore unable to vouch for them. We suggest that as well as contacting the hotels directly to enquire about availability and rates, that you use various online search portals to find the best deals. Since York is a popular destination, we encourage you to book a hotel as soon as possible. Yorkshire’s only AA rated 5 star hotel. 8 minutes’ walk from the National Railway Museum, 2 minutes by car. Thursday 8th November 2018 for 1 night. 30 classic rooms for single occupancy - £140 per single occupancy room per night including breakfast or £160 (double occupancy) per classic double room per night including breakfast. Allocation release date: 27 September. Cancellation deadline: 4pm day prior to arrival. Payment terms: guests to give credit card details to guarantee their bookings, payment on arrival at the hotel.